Milk paint is increasing in popularity and becoming a real contender to chalk paint. I have being using various brands of ‘chalk paints’; Autentico, Annie Sloan I’ve also dabbled with Wicks own brand paint however I fancied trying something different for my next piece. I’ve been hearing a lot about milk paint and thought I would investigate further. 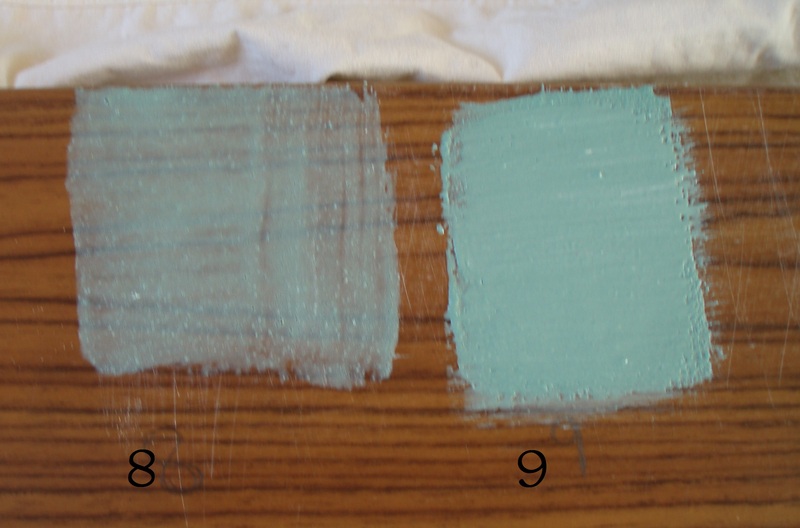 I have found several recipes for making your own Milk Paint online and thought I would give some a go and share my results. I used a laminated chipboard as the test surface, I did however wash it with sugar soap first. 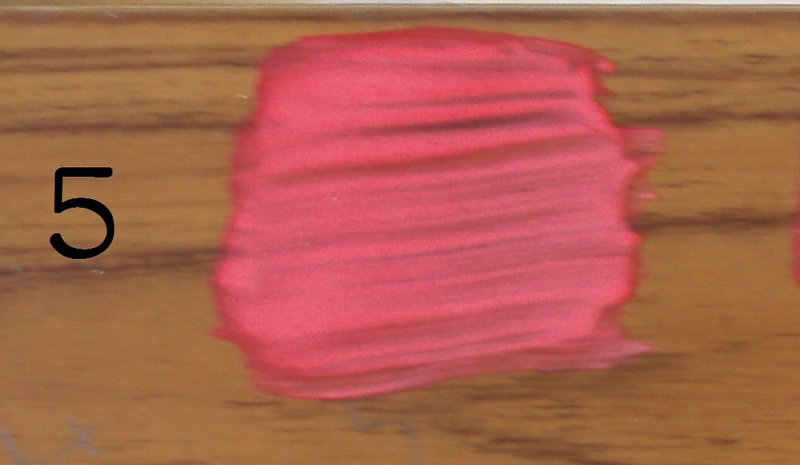 As this is a very smooth surface I felt to would challenge the stability of the paint. The Natural yoghurt was easy to work with and gave a nice smooth finish. However you have to keep it in the fridge and only last a couple of days. Number 5 with some added PVA didn’t crack and when rubbed with my hand it didn’t flake. 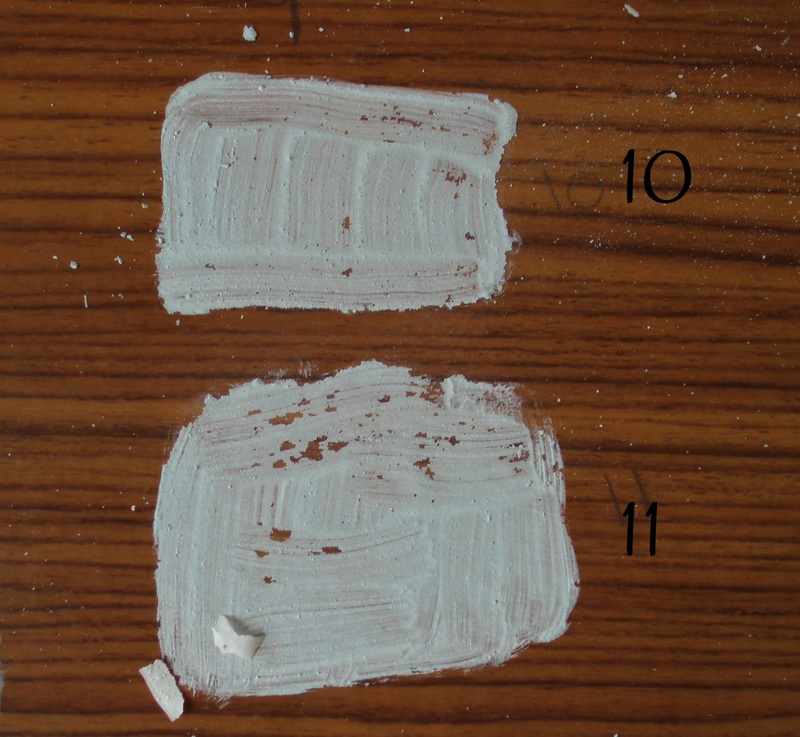 Number 4 didn’t have PVA and did crack a little and when rubbed did flake off fairly easily. The powdered milk did change the colour of the pigment making it a bit darker so you would need to consider this when mixing your colours. I left it for an hour but it still had a rough finish, the warmer water mix was smoother than the cold water mix. 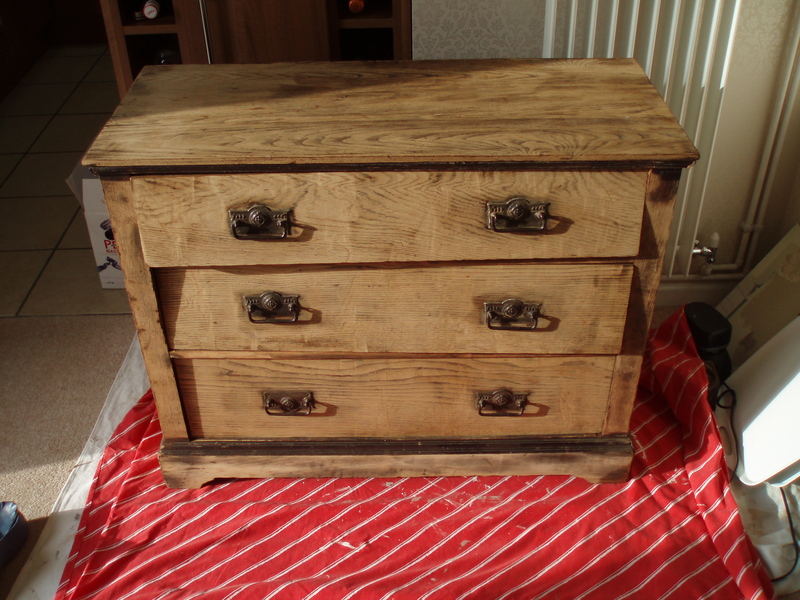 However when left over night it had a much smoother finish. 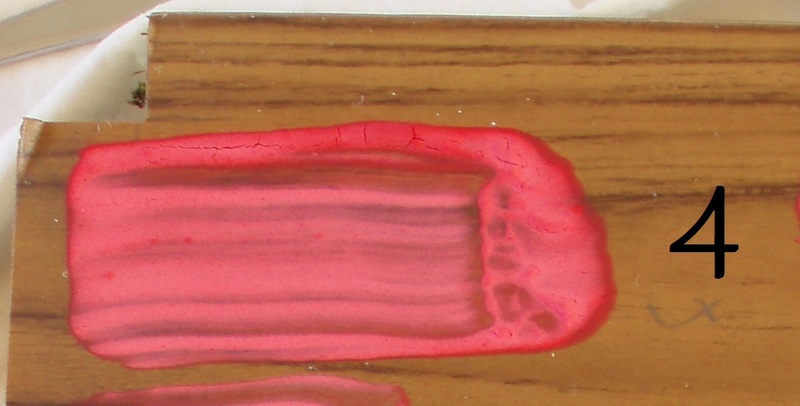 The paint stuck fast to the surface and didn’t flake or crack. 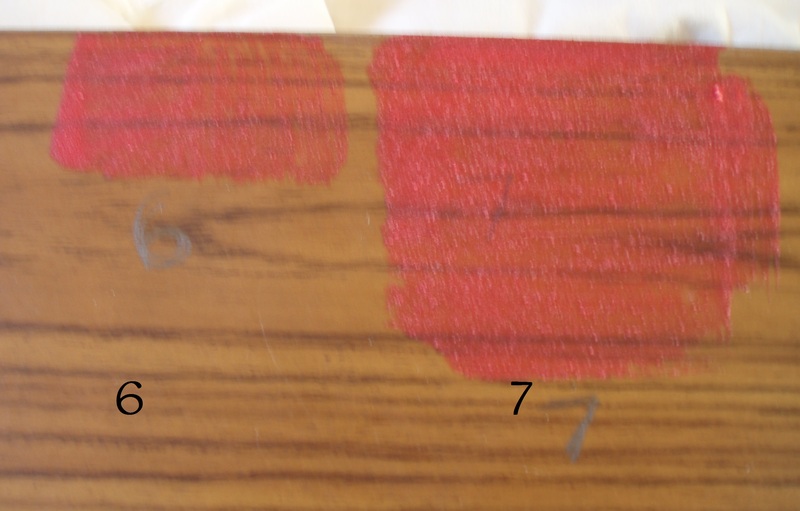 Image 9 is two coats. 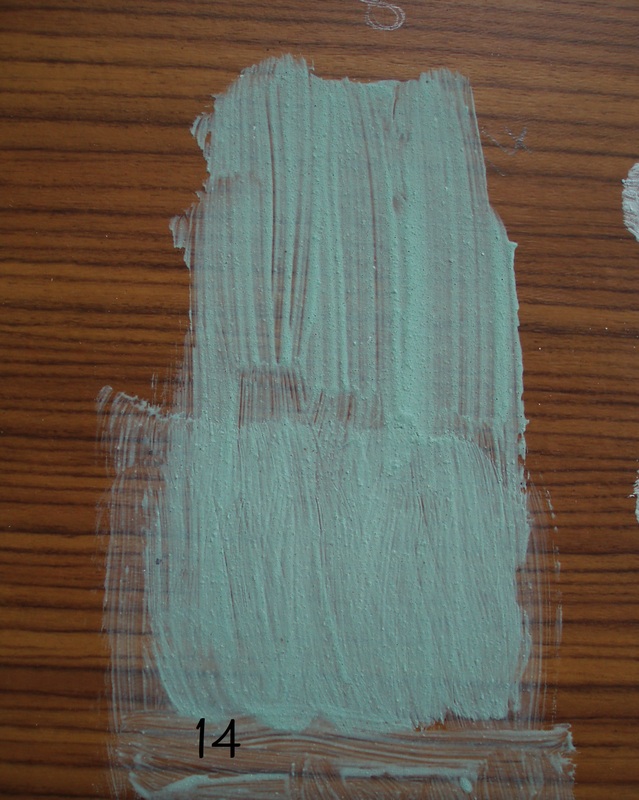 Image 14 shows one and two coats using the paint after it has ‘sat’ for 24 hours. 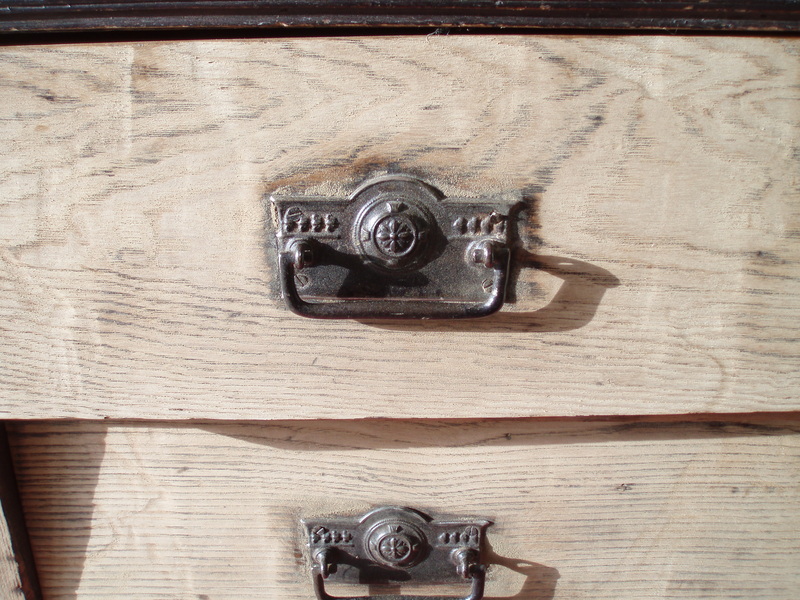 The 1870 Milk Paint Formula mixed into a smooth creamy paste and was easy to work with. It did come away from the surface a little when rubbed. It will be interesting to see how it works on real wood surface. This again needs to be kept in the fridge and has a short shelf life. I’m not sure if I didn’t follow the recipe correctly however this was disastrous and simply peeled off the smooth surface (number 12). 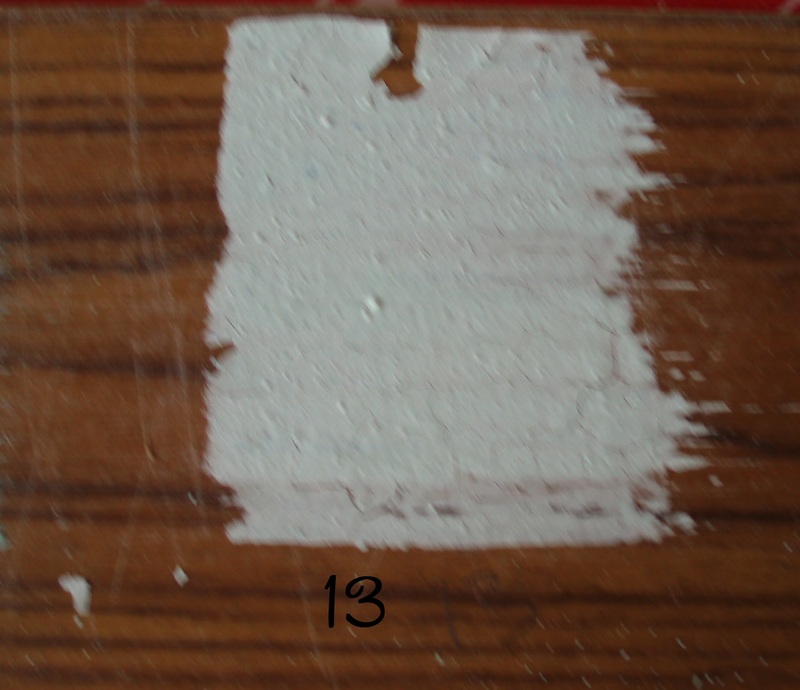 It did stick better to a roughed up surface but cracked (number 13). If you are looking for a heavy shabby chic look this could be the one for you but you would have to prepare the surface. I really not sure it would really be weather resistant as the name suggests. The advantage of making your own paint is that you can create your very own colours allowing you to be truly unique with your creations. I am now off to try some on real wood.